It’s that time of year when we all start sending our holiday cards. 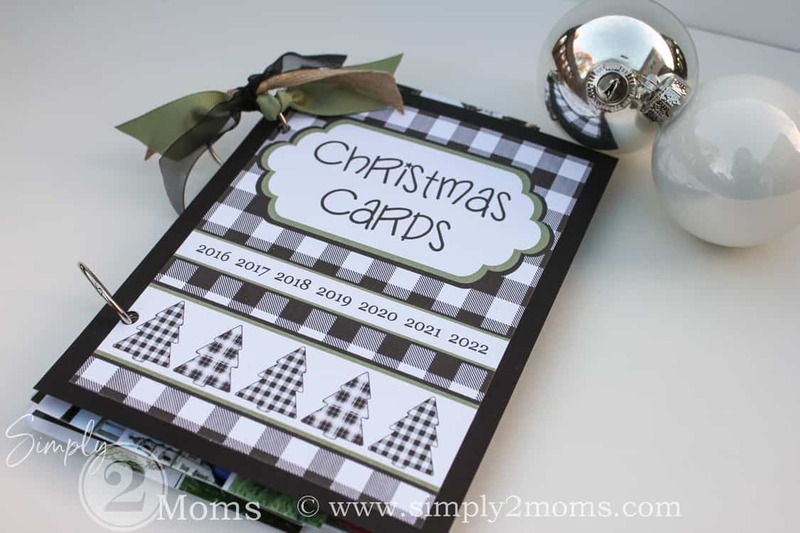 I don’t know about you…but this year, I’m a bit behind with ordering my Christmas cards. Unfortunately, we ran out of time to get a picture of our family or at least one of our kids this year. 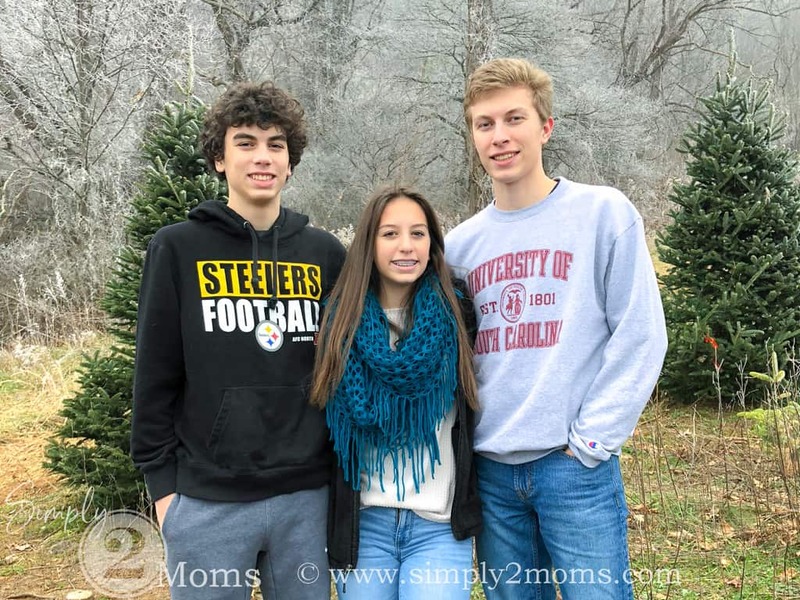 I did snap a shot of the kids with my phone this past weekend while we were in the mountains cutting down our tree. It’s not the perfect picture…outfits aren’t coordinated and eyes are a bit squinty…but I love it because ya know they’re my mine. Each year as the cards come in the mail we display them on a wide ribbon that I hang on a wall post in our kitchen from ceiling to floor. 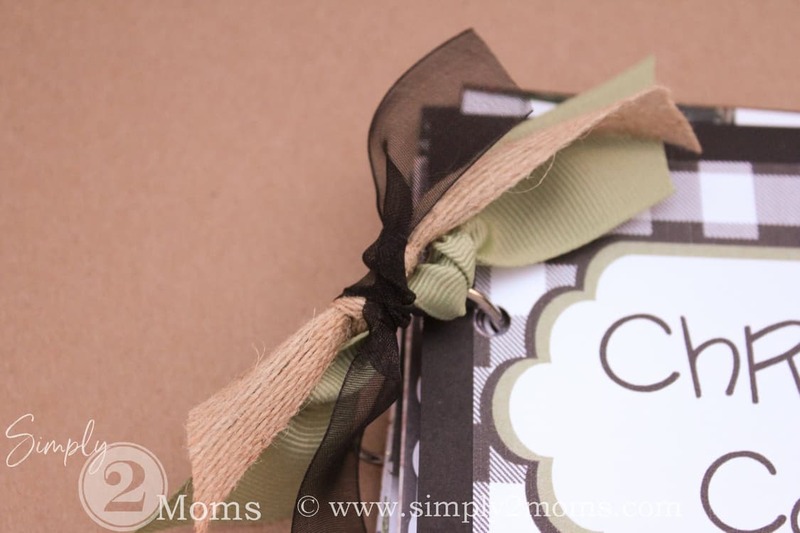 I clip every card we receive to the ribbon with mini clothes pins…this way we can see all the photo cards from our family & friends all season long. 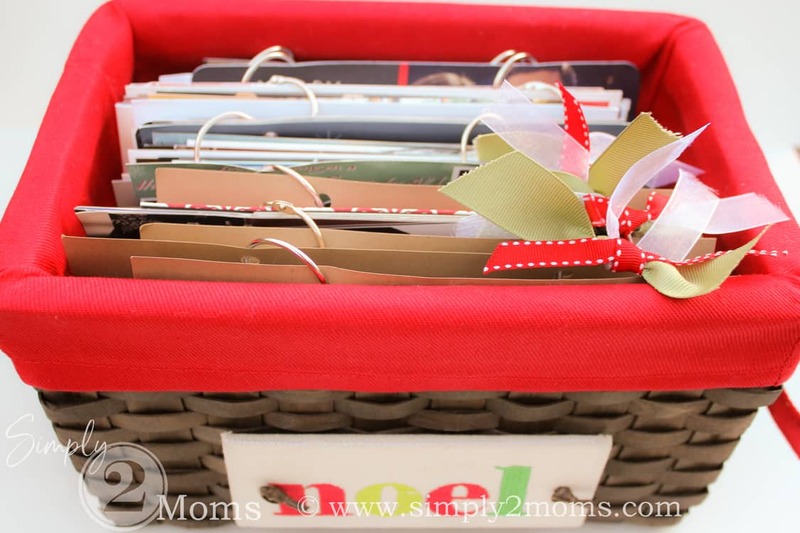 Once the holidays were over I hated throwing away all the beautiful photo cards…so I would save the cards in a bin. But after a few years I needed to find a better solution. Pinterest to the rescue! 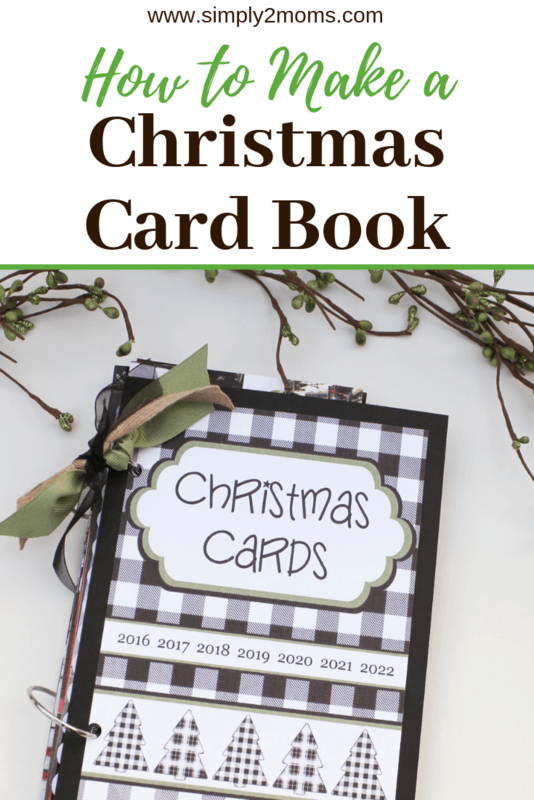 This awesome idea from Eighteen 25 even offered a free printable to create my Christmas Card Books. 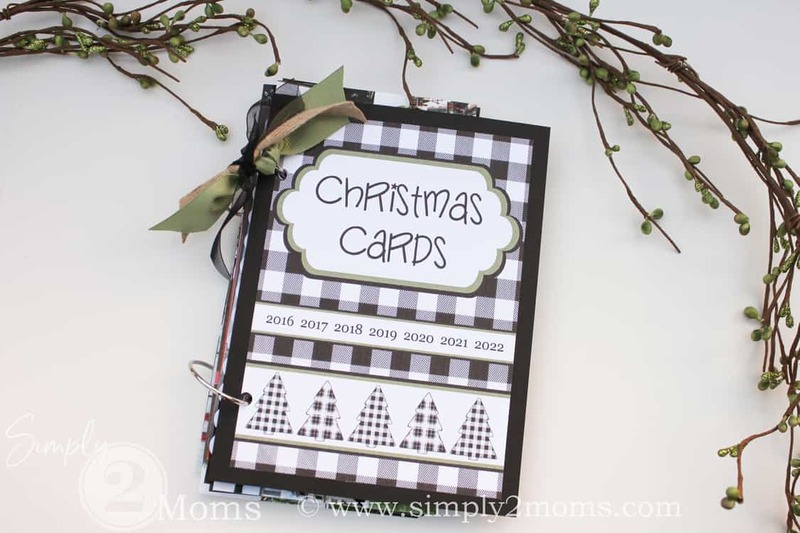 I used their printable for several years and even added some ribbon to decorate my books. 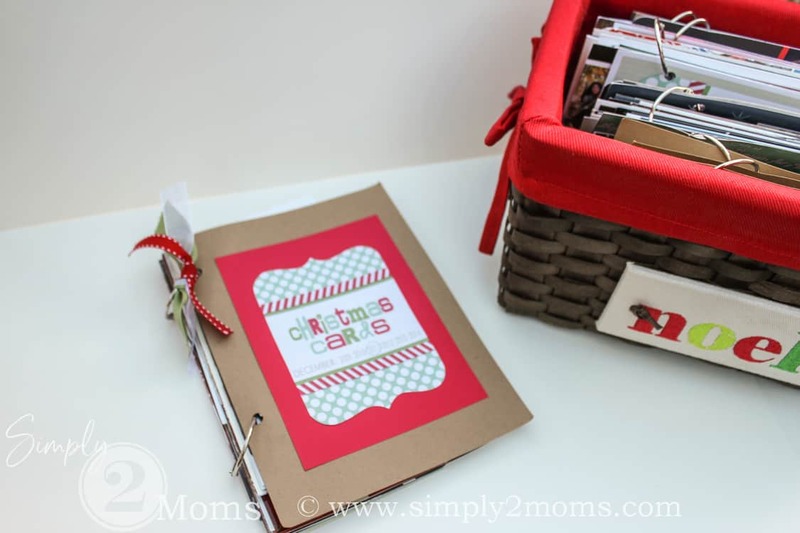 All of our Christmas Card Books are kept in a basket so we can look through them any time during the holidays. I think I may need a bigger basket next year! 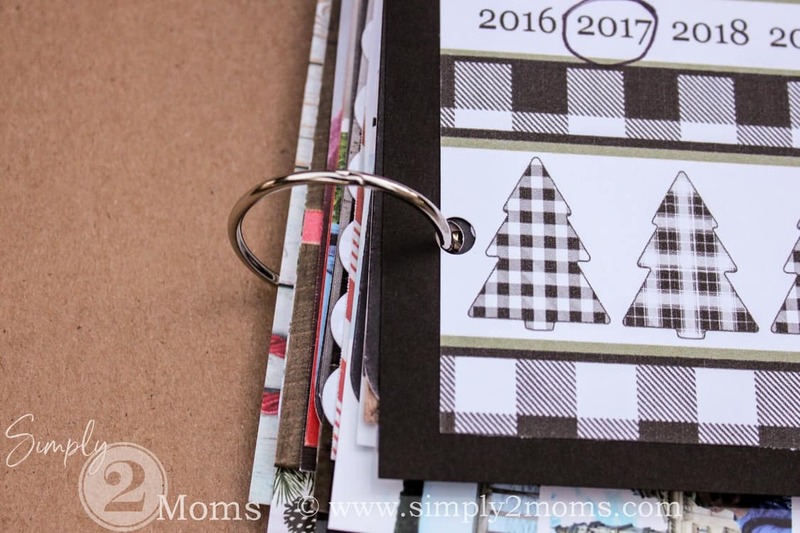 Anne & I decided to update this idea with our own Simply2Moms version this year. My covers from Eighteen 25 didn’t have a year past 2017! 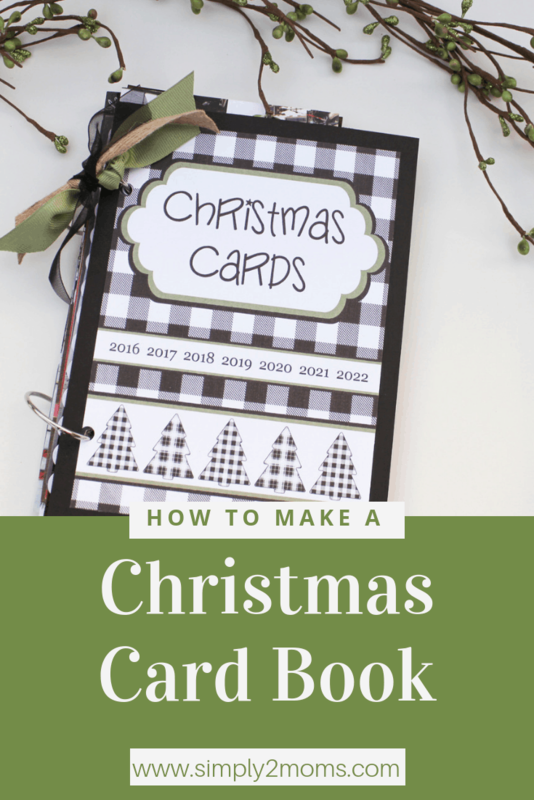 Now you can easily make your own Christmas Card Books with our cover. 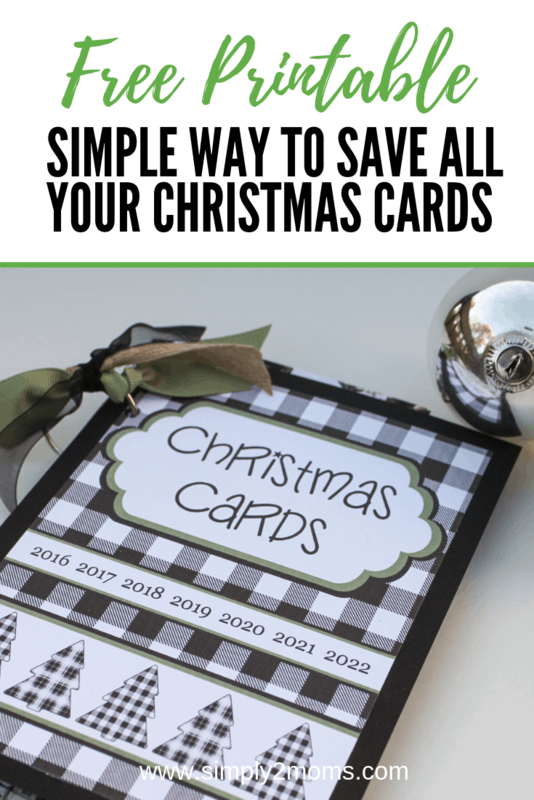 Just click the link at the end of this post to download your FREE printable. 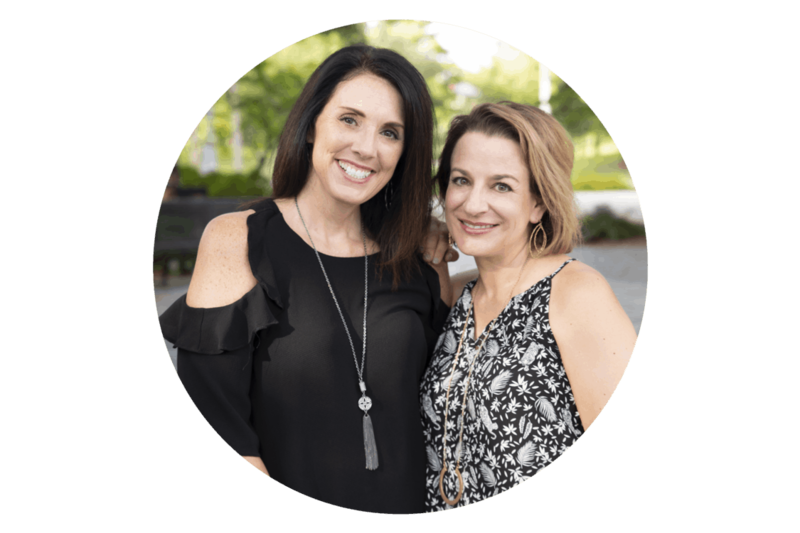 We both love the ever popular buffalo check. And the color green! 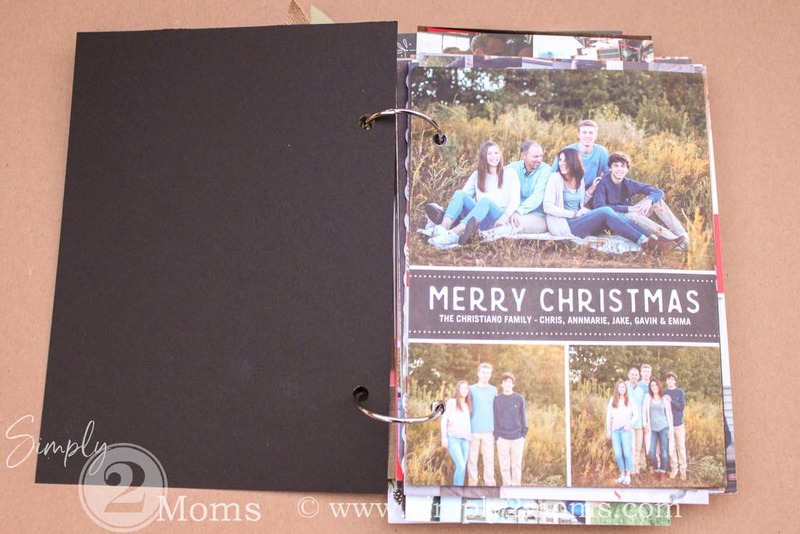 So we got together a couple weeks ago to create this Christmas Card Book cover. We just LOVE it! Don’t you?